Four-engined tactical transport. 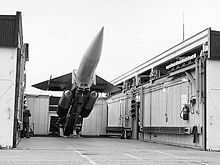 Several versions have been operated since 1960. Remaining CC-130Hs used for search and rescue and air-to-air refuelling. 8 aircraft remain in service , five of which have been converted to air-to-air tankers. 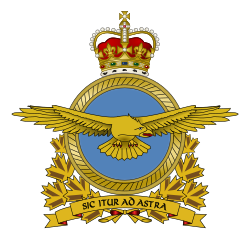 Based at 14 Wing Greenwood, NS, 8 Wing Trenton, ON and 17 Wing, Winnipeg, MB. A utility transport tactical helicopter (UTTH) that entered service between 1995 and 1997. Original purchase of 100 aircraft to replace the CH-136 Kiowa (Bell 206), CH-135 Twin Huey (Bell 212), CH-118 Iroquois (Bell 205), and Boeing C-Model Chinooks CH-47C. 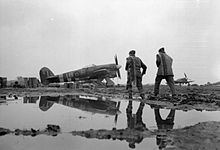 Based at Bagotville, Quebec (439 Squadron), St. Hubert, Quebec (438 Squadron), Cold Lake, Alberta (417 Squadron), Gagetown, New Brunswick (403 Squadron), Valcartier, Quebec (430 Squadron), Goose Bay, Newfoundland (444 Squadron), Edmonton, Alberta (408 Squadron), and Borden, Ontario (400 Squadron); also perform search and rescue duties at 8 Wing Trenton (424 Squadron). Deployed to Afghanistan to provide escorts for the Chinooks, armed with a combination of 7.62mm C-6 machine gun, 7.62mm Dillon Aero M134D Gatling gun, and GAU-21 .50 caliber machine gun on one or both doors. 9 ex-RCAF Griffons, designated CT-146, are leased from Allied Wings for pilot training at Portage la Prairie, MB. 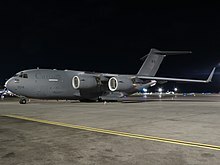 8 Wing is the heart of Canada's air mobility forces, from delivering supplies to the high Arctic ( CFS Alert) to airlifting troops and equipment worldwide. It is also responsible for search and rescue in central Canada and home to the Skyhawks Parachute Team with the Canadian Army Advanced Warfare Centre. It is also the largest Air Force base in Canada. 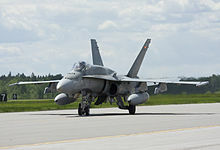 This page is based on the Wikipedia article Royal Canadian Air Force; it is used under the Creative Commons Attribution-ShareAlike 3.0 Unported License (CC-BY-SA). You may redistribute it, verbatim or modified, providing that you comply with the terms of the CC-BY-SA.